April 2015 | It`s full of stars! 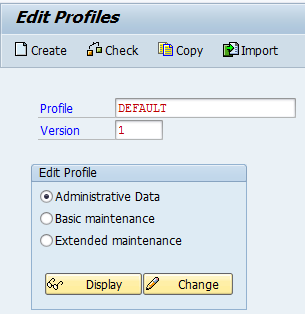 Select the base profile to be imported. Click OK. New profile is now saved and activated. 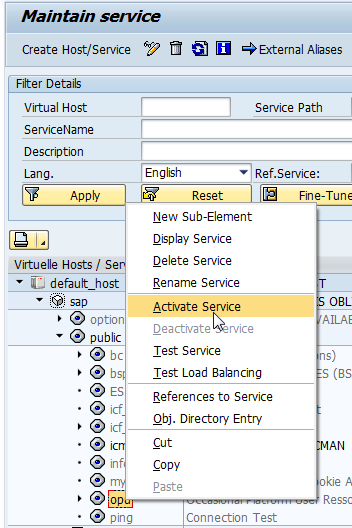 Select Extended Maintenance and then Change. 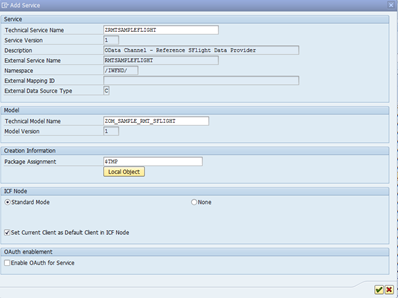 A list of parameters is shown. 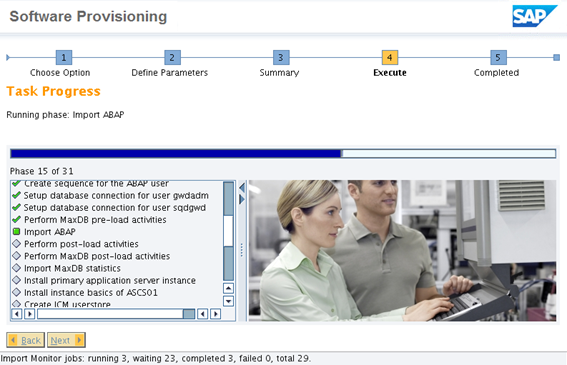 After executing all three steps, you have a fully functional SAP NetWeaver ABAP system. 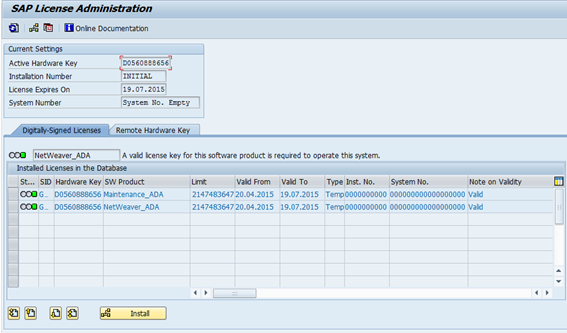 To install a SAP system, you need to check first the hard ware requirements. 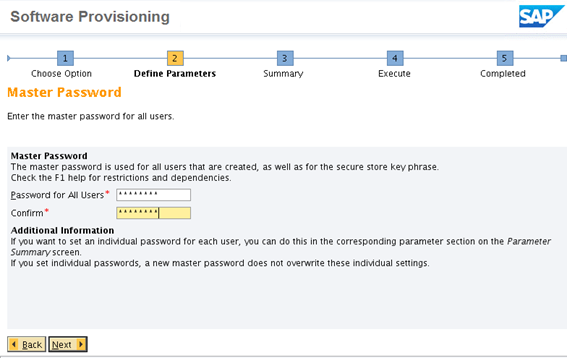 You also need to ensure that a correct user/group is set up. This depends normally on the SID of your SAP system. 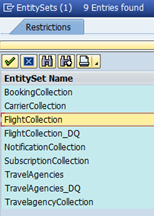 Database: Files to install the underlying database. 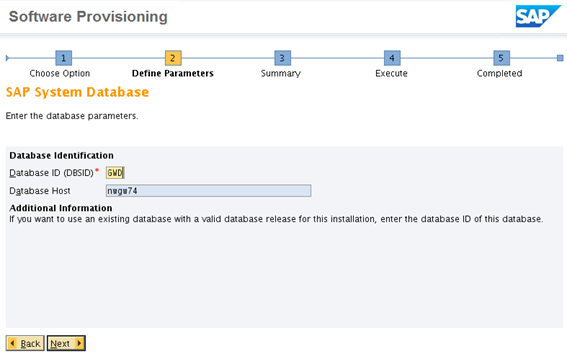 Here I will use MaxDB. Kernel. The kernel files, depend on your operating system and if you want to use unicode (UC) or not. I’ll use Linux x64 and a UC kernel. 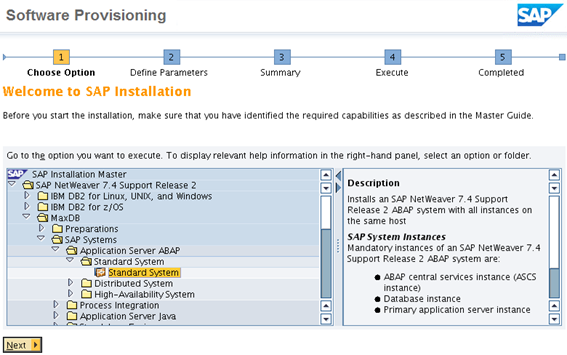 SAP Installer: SWPM. 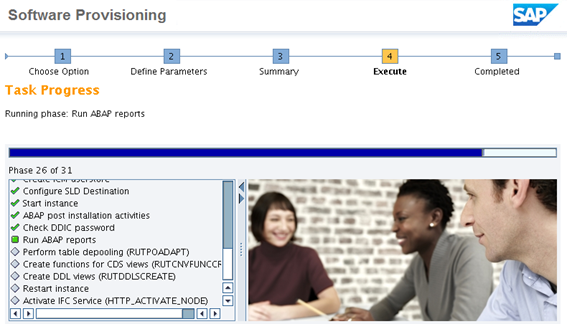 This is the sapinst program. 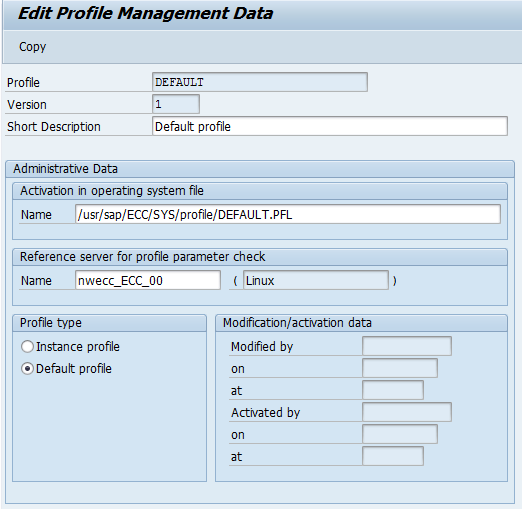 Be careful, as two version of SWPM exist. 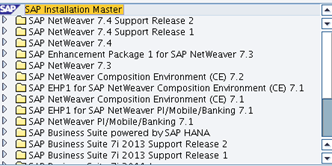 One is for installing NW AS and products; the other is for installing BS, SolMan and NW 7.0. All files are delivered as ZIP, except SWPM. You’ll have to un-SAR this one. Copy all unziped/unsared file to a common location on your server, like /install. 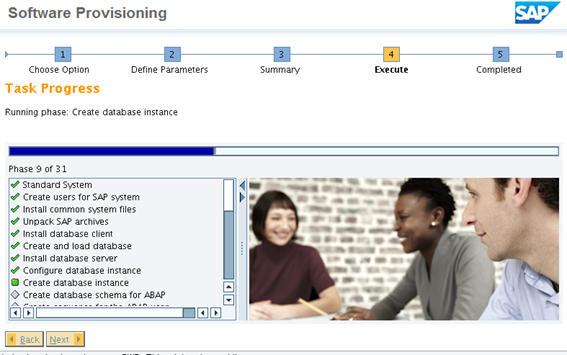 For each SAP system you’ll need to have one corresponding administration user. 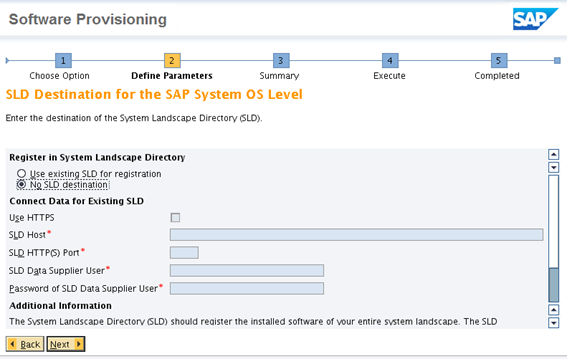 The user ID is determined by the SAP system Id (SID). 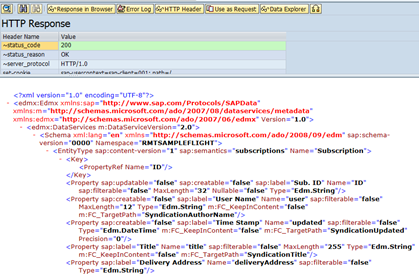 The user id follows the schema: <sid>adm. 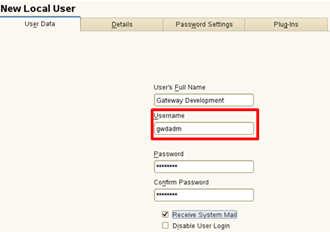 For instance, when your SAP system is going to use the SID GWD, the user will be gwdadm. 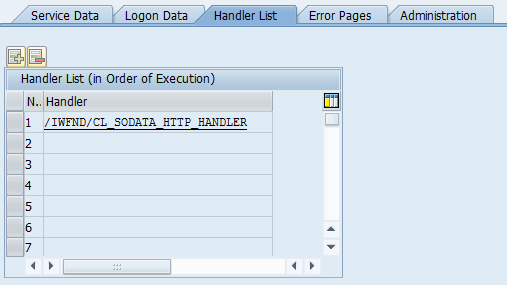 The group can be anything, but normally you use sapsys as group name. Creating a user in Linux is easy as it is just one command, and with SuSE you even get a wizard that aids you through the process. 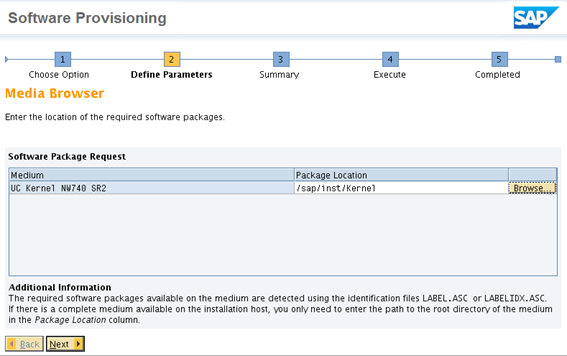 To start the installation, just run sapinst from the SWPM package. 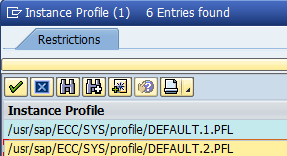 There are two executables: sapinst and sapinstgui. 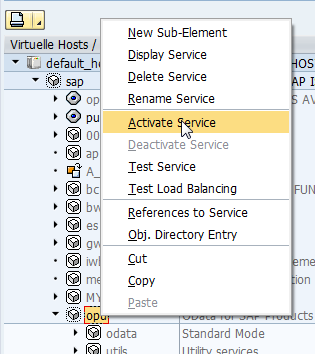 Sapinst will start the local server and the local GUI, while sapinstgui needs to connect to an already started sapinst server. 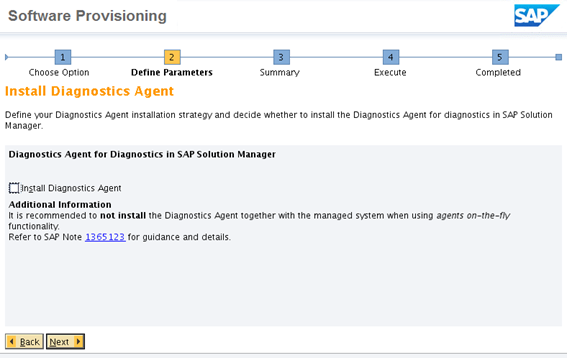 As long as you do not have to do a remote installation, sapinst is the executable you want to run. 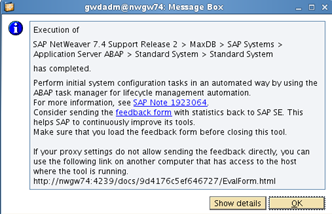 I am going to install SAP NetWeaver 7.4 Support Release 2 ABAP for MaxDB. First thing to run is the preparations step. 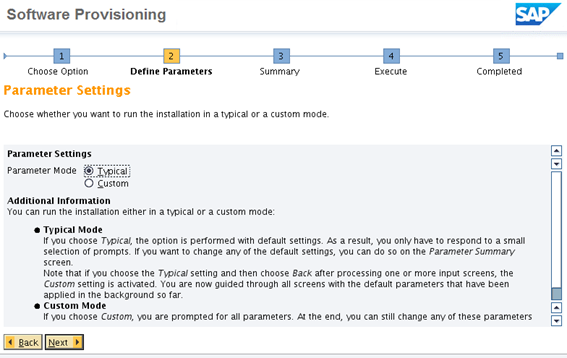 Select what sapinst should test. 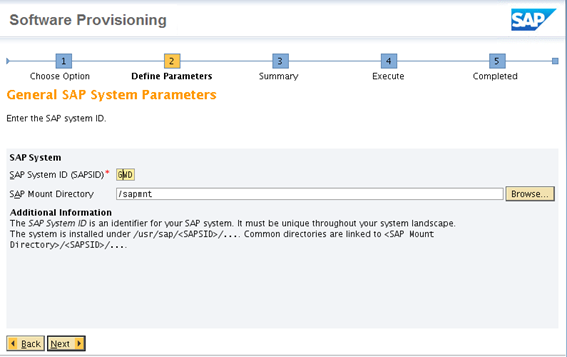 If nothing is selected, sapinst will check a basic set of requirements. 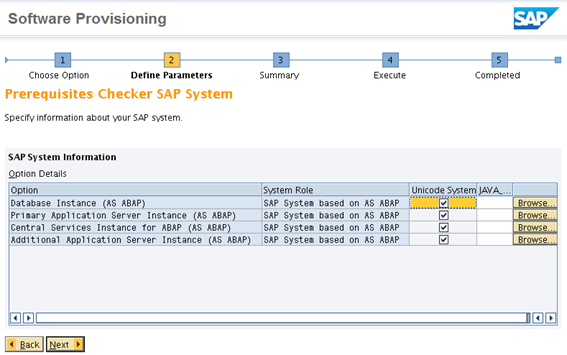 This does not mean that after the check is done your system really meets all the requirements. 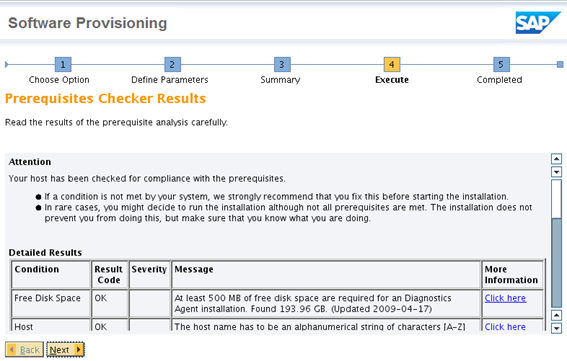 So make sure you select what you are going to install to have a meaningful test result. 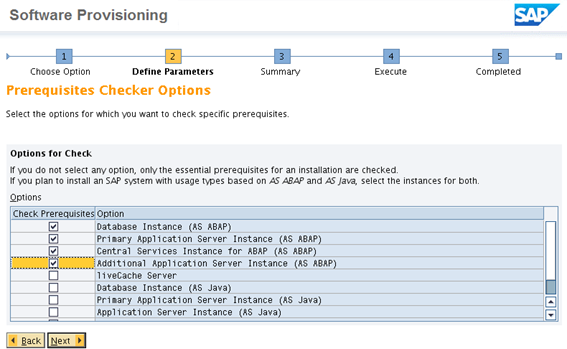 As I am going to install NetWeaver ABAP, I selected the ABAP related checks. Confirm that a UC system will be installed. 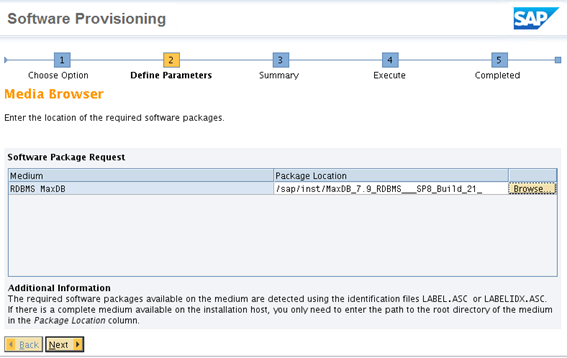 SAPinst will ask for the location of the Kernel files. 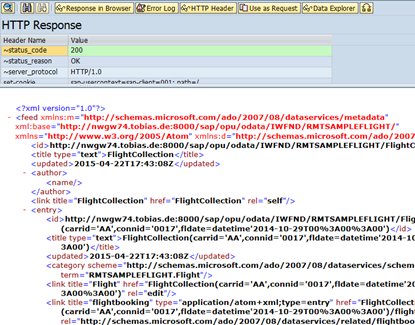 Confirm the prerequisites data. If everything is OK, you can start the process. The requisites are being verified. 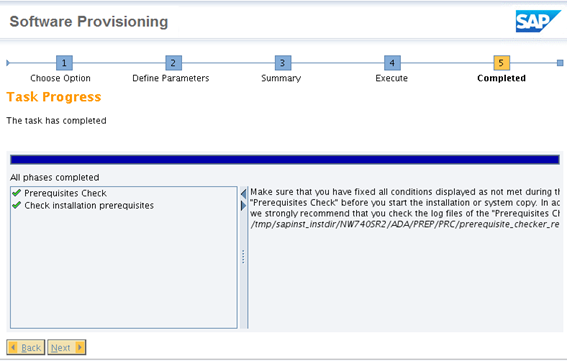 After the check is done, sapinst presents you a screen with the results. Go through the list. Everything needs to be OK. 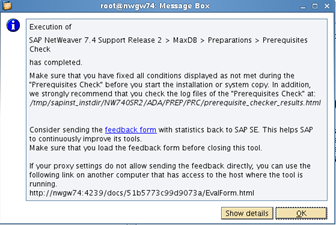 The final dialog confirms that everything is OK and that a report was saved to a local file. Now we are good to go: sapinst checked the system and gave it a quality stamp. 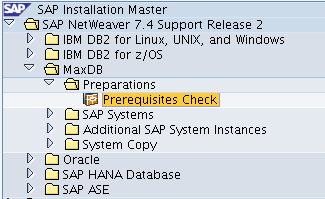 Nothing impedes the installation of NetWeaver ABAP 7.4 SR2 with MaxDB. 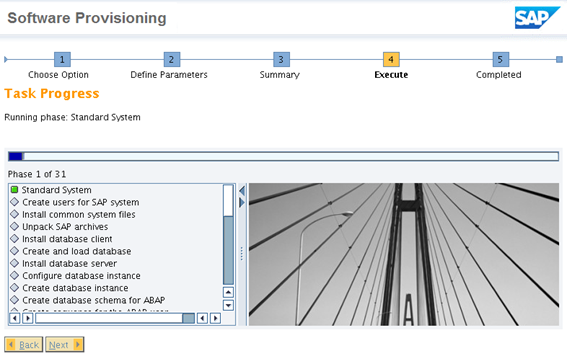 The NW ABAP 7.4 SR2 system is going to be a standalone system, with everything on the same host. Chose mode. 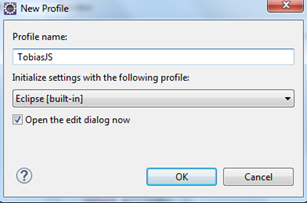 Typical is enough, you’ll see still more than enough input dialogs. In case the mode of the files is not correct, do not worry. Sapinst will take care of that (thank you sapinst!). 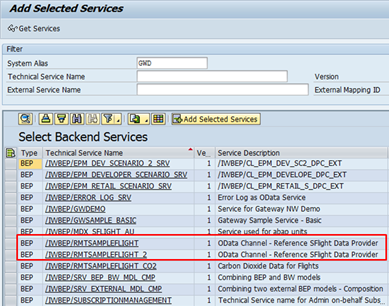 Specify the SID (here: GWD) and the mount directory (here: /sapmnt). 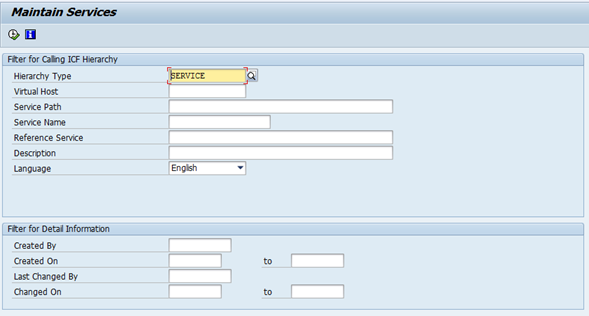 The 2nd input field is to set the domain name of the server. 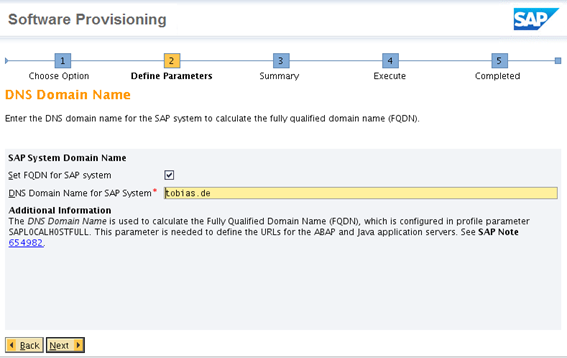 Do not enter the FQDN or the name of the server here, just the DNS name (here: tobias.de). If you server is nwgw74.tobias.de, only the tobias.de part. After all steps are executed successfully and marked with a green check, the installation is done. 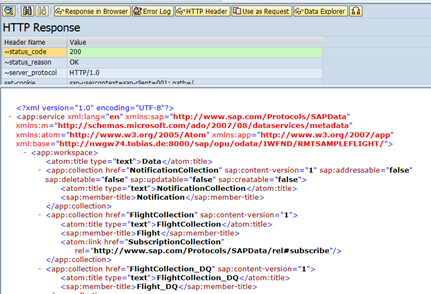 Log on to the new SAP system is done via SAPGui. 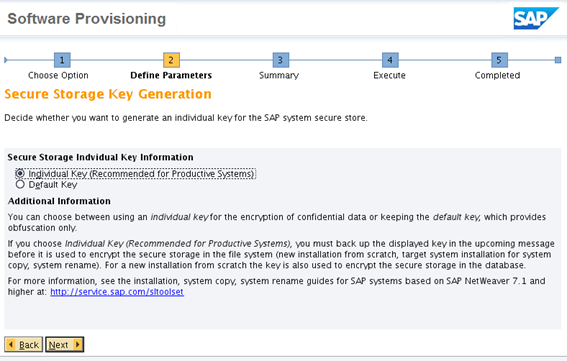 User is SAP* and the password is the standard password given during installation. 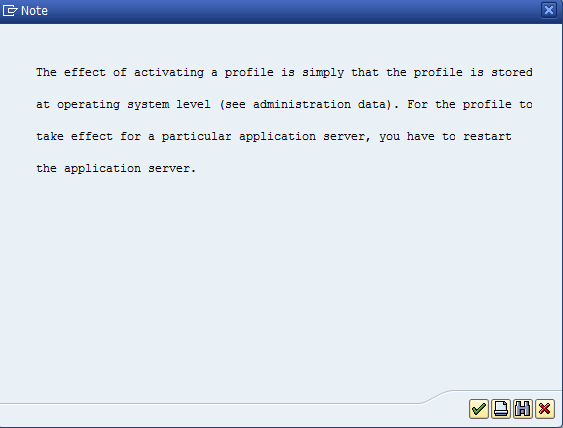 Automatically, a temporary license is installed. 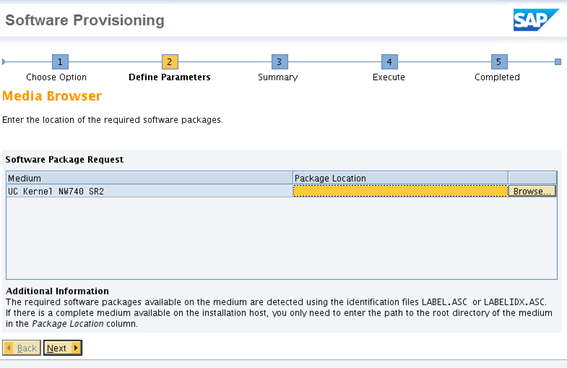 Click the install button and select the license file. 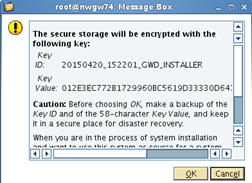 If everything is OK, a popup will confirm the installation of the license(s). 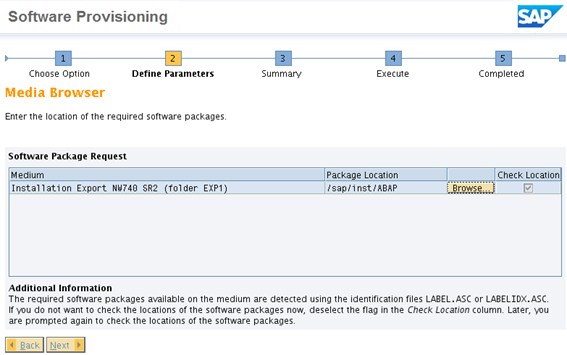 Last check is to verify that the new license is installed and active. 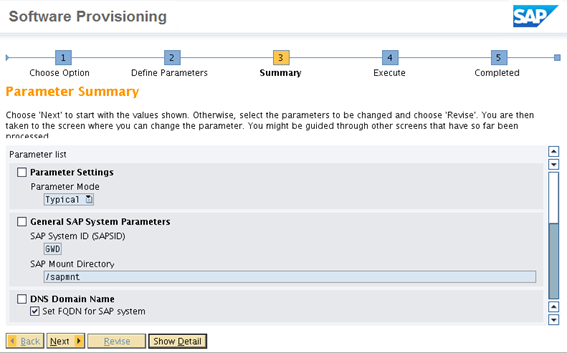 The last line is a include parameter. To add the Max DB libraries, it is just to create a conf file maxdb.conf in /etc/ld.so.conf.d/ and add the lib path to the new file. 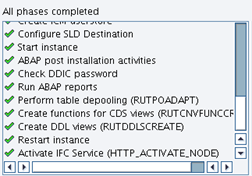 SAPinst should be run as the admin user of the instance: <sid>adm. 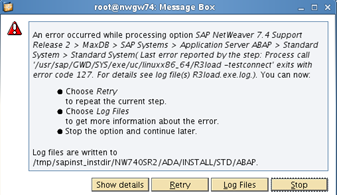 SCN is full of errors from users that had the problem to run the Import ABAP step. 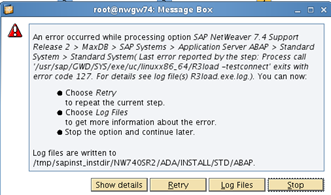 That error is caused by running the installation as root and not as <sid>adm. 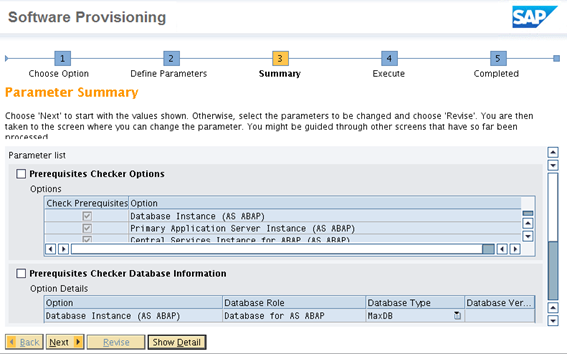 For instance, to configure the DB, R3load is called. 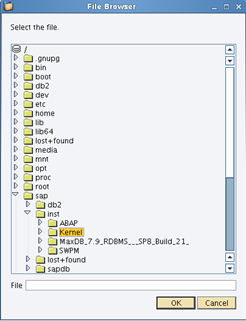 With user <sid>adm the program connects flawlessly to the DB, as user root not. 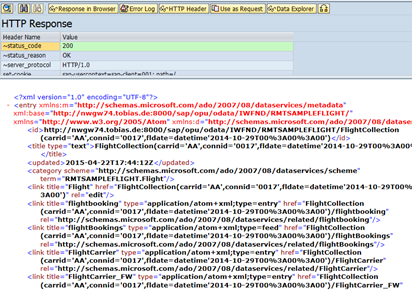 This is given by the simple fact that the environment variables are set for <sid>adm, and not for user root. 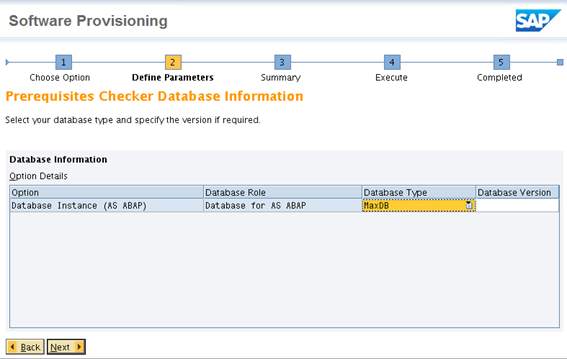 In case sapinst isn’t capable of setting the right permissions to the file sapuxusercheck, follow SAP Note 1563660. SonarQube is not only good in telling you that you have a tab indentation problem, but also shows that you have a lot of white spaces that make no sense: trailing white spaces at the end of a line. 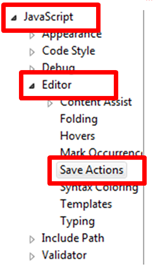 How do you get rid of these in Eclipse? 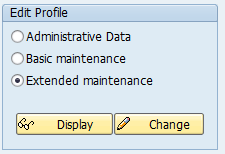 You can configure Eclipse to delete trailing white spaces when you save the file. 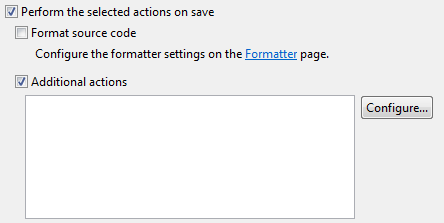 Now, what do to when SonarQube is showing minor problems caused by tabs? Inform a nice profile name. Change the tab and white space setting. My event app allowed to sign up for the event, thanks to everyone that did so! Android users had also the chance to rate SIT sessions using the app. Apple was against a release of this feature before the event started, therefore iOS users could only rate sessions after the event was over. In total 45 people downloaded the app. While this looks nice, compared to the total number of participants the number is too low. For next SIT I’ll have to think about how to increase the number of people installing the event app. I guess it will help if the registration via app is the preferred way and opening up the web site event registration only later. Which implies to release the app way earlier. I used the UI5 app to create a web site version, giving everyone with internet access the chance to access key information about the event. The site URL was sitsl.ddns.net. The site had 122 unique visitors. Tweets were analyzed with a variety of tools, with Kibana being the primary reporting tool. 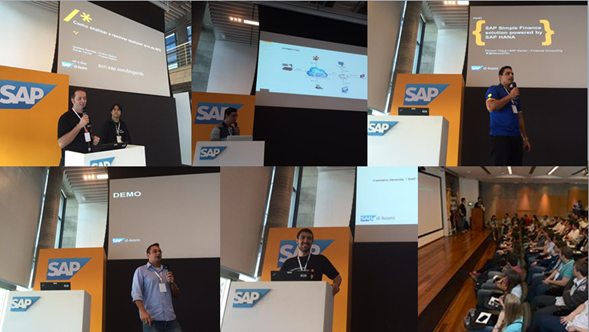 To speak for all other Mentors involved at the event: a big thank you to SAP Labs São Leopoldo to let us co-host the event. 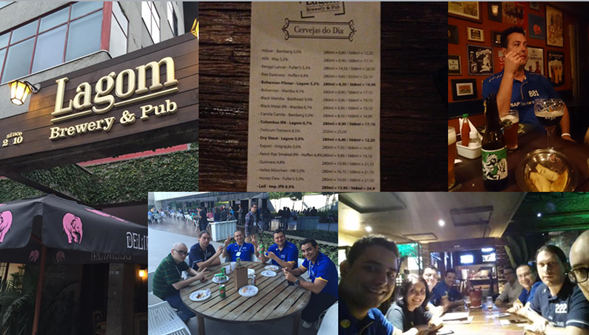 SAP Inside Track in Brazil is a series of community events that started in 2009 and since then turned themselves into a real success case. 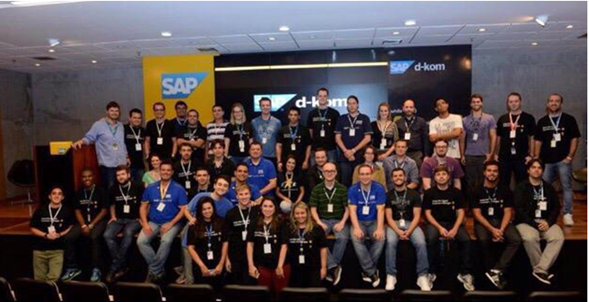 What started in 2009 with 35 participants that shared hands on information after SAP Forum is now in its 11th edition and a sought after community driven event around SAP in Brazil. 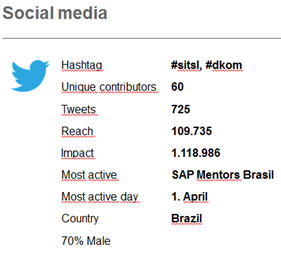 As of today, SITs were hosted in three cities: São Paulo, Rio de Janeiro and São Leopoldo. 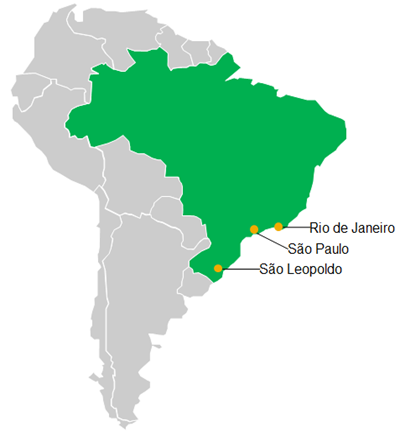 A constant location is São Paulo, having hosted most of the SITs in Brazil, followed by São Leopoldo. 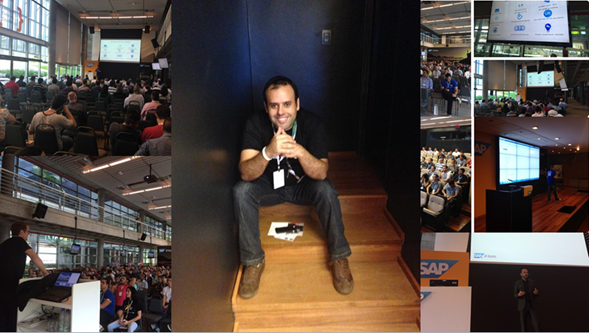 No big surprise, as both cities have a strong SAP location: SAP offices in São Paulo and SAP Labs in São Leopoldo. In total, the SITs attracted 1268 participants over the years, and the number of speakers and sessions is equally impressive: 126 speakers giving 136 sessions. 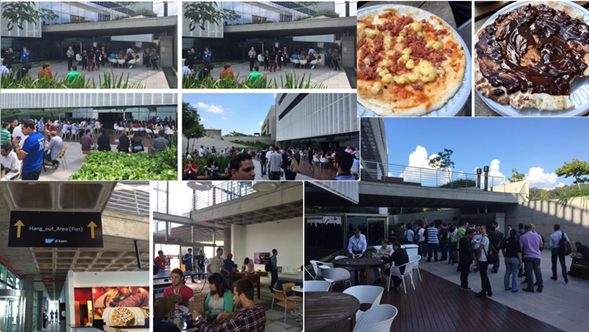 Our 3rd SIT at São Leopoldo was the first one to b eco-hosted at the first DKOM event at SAP Labs. 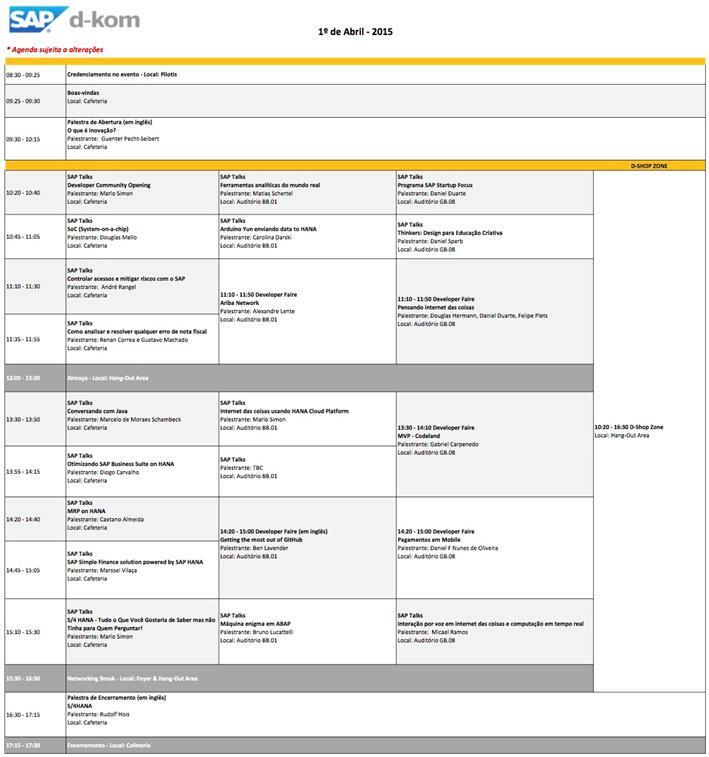 DKOM being a two day event, the first day was strictly SAP internal, while the second day was open to clients and customers. This SIT innovated at several levels: first, it was held on a Saturday, allowing participants to not loose e full day at work and second, it featured an event app. TDF – Por onde começar? 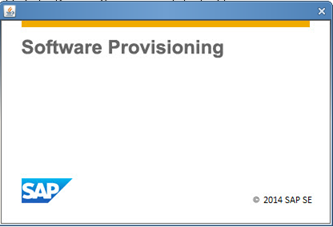 s-Innovations e SAP HCP: Inovação de Software na Nuvem! Como será a TI daqui a 20 anos?